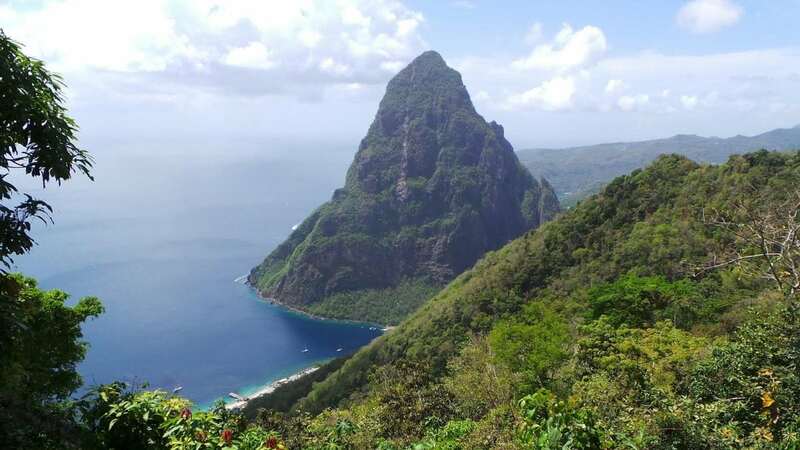 St Lucia may be one of the most popular Caribbean islands for tourists but with a visit to Ti Kaye reporter Tom Bevan discovered one of its best kept secrets. 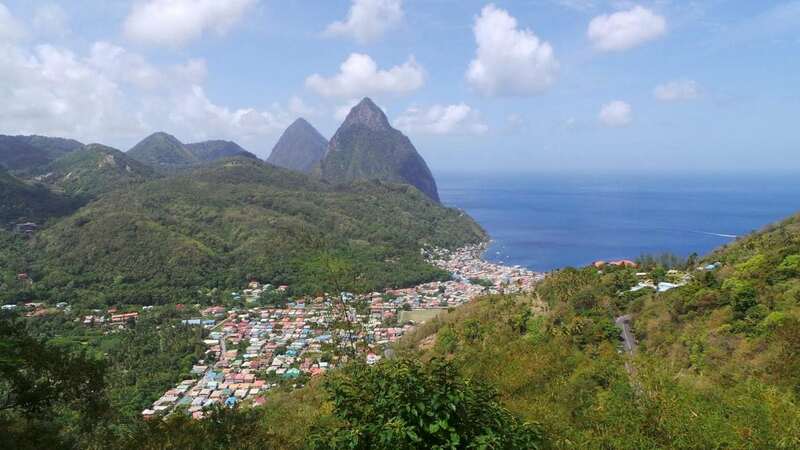 The majestic Caribbean island of St Lucia is a place where you cannot help but smile. If a holiday is about capturing a feeling to sustain you long after you return home then this little piece of paradise really should be at the top of your wish-list. Whether you are swept along by the rhythm that permeates a soundtrack of joy, seduced by the taste of another rum-based cocktail, or in awe of the stunning rainforest scenery and palm tree laden beaches – you will be hard pressed not to find whatever you are looking for. And while the Caribbean may be awash with luxury destinations to heighten all such senses; we were lucky enough to stumble across one jewel in its sun-kissed crown. 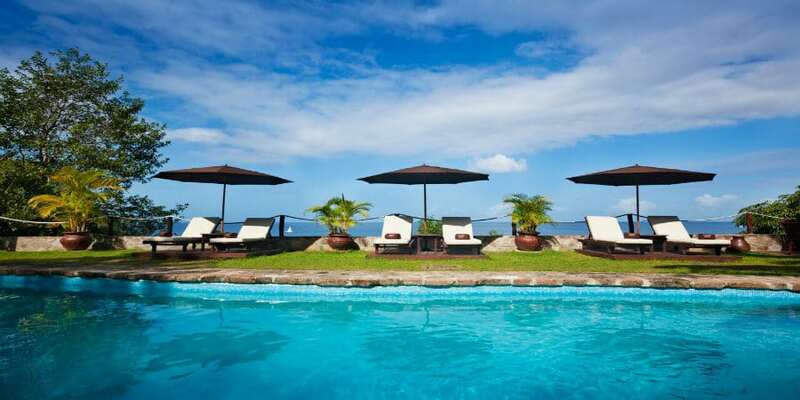 Ti Kaye Resort and Spa is set in a spectacularly high vantage point overlooking the Caribbean Sea and boosts a collection of private and secluded villas, equipped with impressive ocean views from one of the quieter, more secluded parts of the island. Travelling by taxi through a steep, winding bumpy track, we went with high expectations but had no idea of the breathtaking coastal wonderment that was about to greet us. Surrounded by tropical flora and fauna, walking into the resort it felt like you were entering a luxurious tropical haven, complete with a soothing water feature, soft cream drapes and classic style wooden cabins. Ti Kaye has won numerous awards over the years for the exceptional experience it offers to its adult guests – and it is easy to see why. 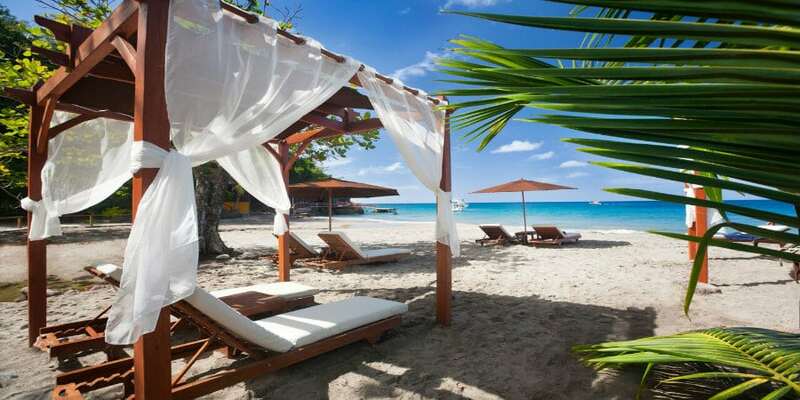 Overlooking Anse Cochon cove, the silvery beach is known around Saint Lucia as the best place for snorkelling and is just a few careful steps away from the resort. Like the winding entrance into Ti Kaye, the steep stairway down to the coast might be a bit difficult to navigate but once you are there, it’s certainly worth the short trek down the cobbled and wooden steps. The warm waters and silky soft sands of Anse Cochon can be found across the island, but it’s the impressive coral and diverse sea life which is just a short distance from the shoreline that sets this cove apart from other other nearby beaches. With all the watersports facilities and equipment available to hire from the dive shop, the resort beach is an undoubtedly one of the star attractions and it is no surprise to see it populated by day trippers and scuba divers, who can only access the beach by boat. 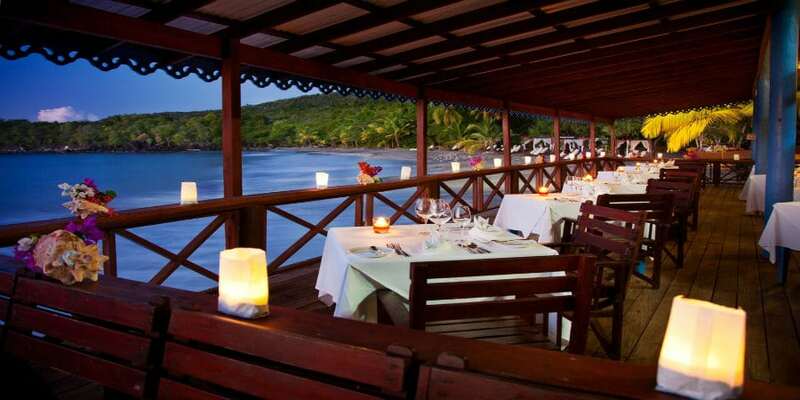 Complementing the picture postcard location is the resort’s fine dining, which is to an incredibly high standard. Ti Kaye is home to St Lucia’s largest wine cellar with a huge array of wines for diners to sample. Guests can sign up to a wine tasting experience set within the enormous cellar and of course choose from an impressive selection for lunch and dinner each night. Ti Kaye is well-known for its authentic, contemporary menus, demonstrated by the resort restaurant’s St Lucia themed night with a lengthy tasting menu, full of local flavours and ingredients. Breakfasts offered another dining highlight, shared with the resident island birds who would happily snack on anything left uncovered. Tropical fruits, sweet pastries and fresh bagels would greet you each morning, alongside a range of cooked to order options you would usually expect. The private cottages assigned to each guest are perfectly designed. 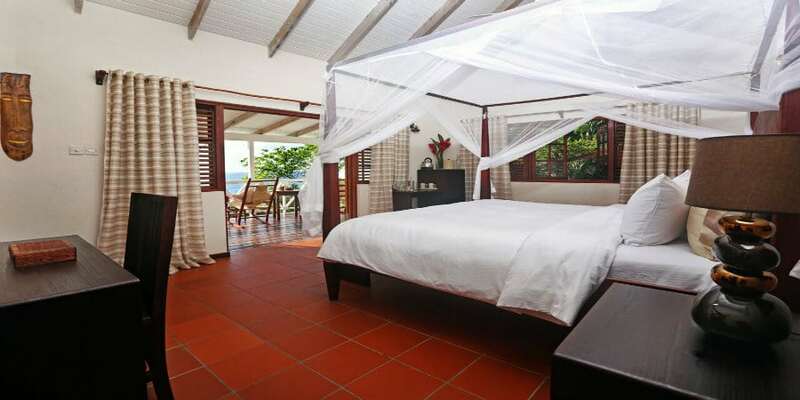 A large four poster bed, complete with surrounding protective netting, sits within the cabin, which overlooks the ocean. An outdoor shower is nestled underneath blossom trees which regularly shed their flowers making your morning wash a truly natural experience. Ti Kaye really is what a relaxing stay in the Caribbean should be all about. Your body, mind and your soul will thank you for it. 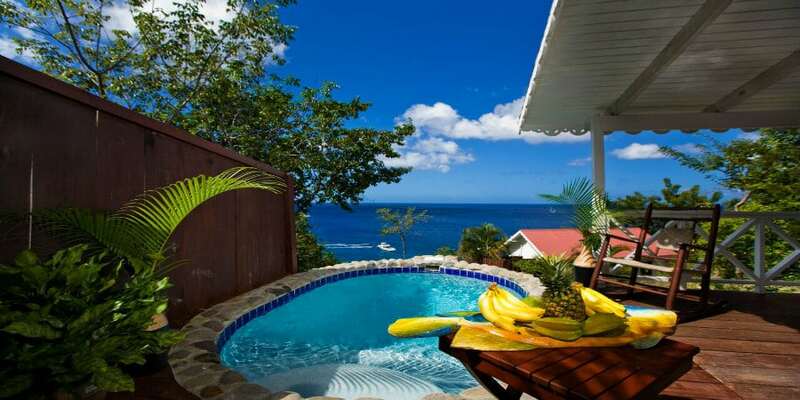 For more information and to book your holiday to Ti Kaye visit Tropic Breeze at www.tropicbreeze.co.uk or call 01752 880880.